Please join our honored guests, Luang Por Pasanno, Abhayagiri Monastery, CA and Ajahn Siripanyo, Dtao Dam (Black Tortoise) Monastery, Thailand, along with Ajahn Sudanto, Ajahn Karunadhammo and other visiting and resident monks for this weekend of Dhamma, generosity, good will, great food and fun! 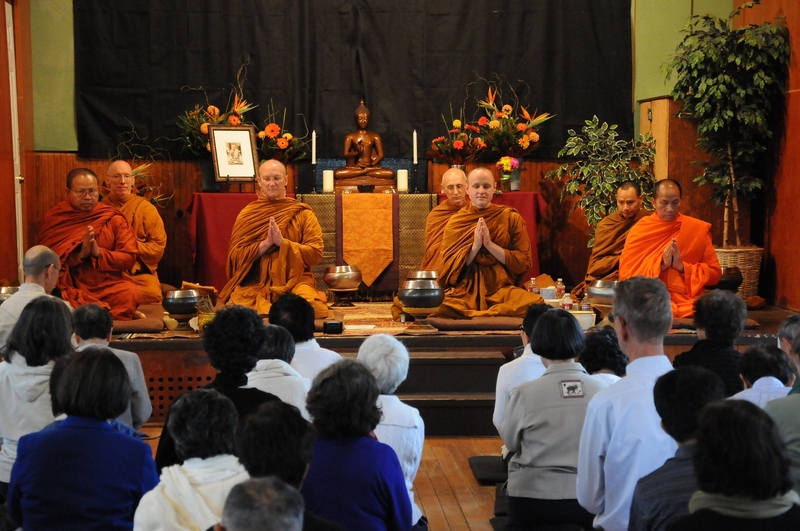 Pah Bahs are initiated by members of the lay community to offer support to a monastery. Sanghata, the board of stewards for the Hermitage, helps organize the event. Everyone is welcome. It’s free. Donations are welcome, but not required. Come for any or all of the activities. Your Generosity Will Help Build an Abbot’s Kuti — Donations received for this year’s Pah Bah will help the Hermitage build a dedicated Abbot’s kuti (meditation hut). The new kuti will be in a more secluded location and will incorporate a year-around walking path that is protected from inclement weather. Sitting and walking meditation, and Dhamma reflections. Chairs will be available, but please bring your own cushions if you want to sit on the floor. Please arrive no later than 10:30 AM, if you’re bringing a dish, and please bring your food ready to serve, in your own serving bowl/plate, with your own serving utensil. 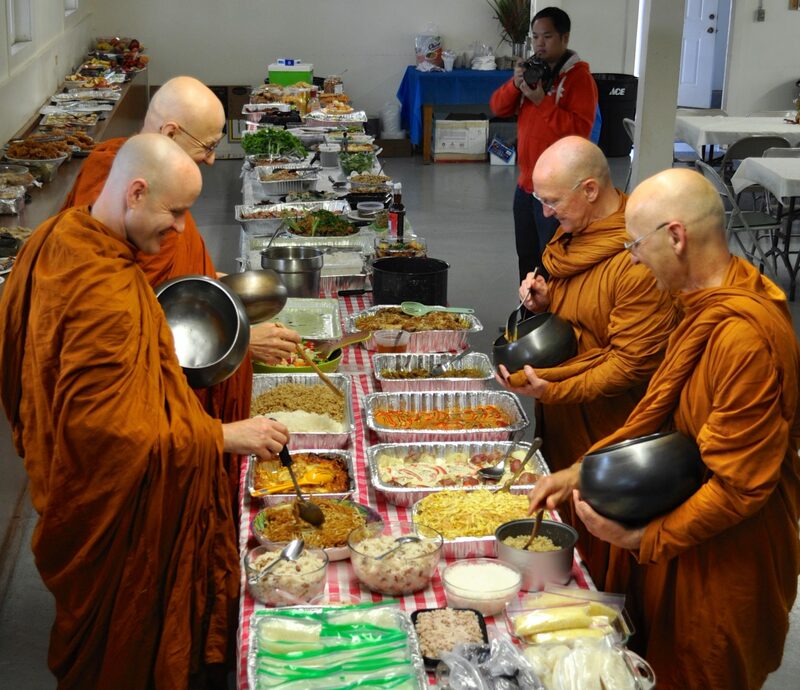 The meal will be offered to the monks at about 11:00 AM. Chairs will be available. Please bring your own cushion if you want to sit on the floor. Other languages may be spoken, but English will be the predominant language. Dhamma reflections will be in Thai and English. No meditation involved.